From an OT point of view, board and card games are the best. Games promote fine motor skills, visual perceptual skills, planning, social skills, and problem-solving. However, as a mom, I find a lot of games tedious and boring. Some games are only suited to a very small age range of children, but my favorites have lasted for years. Here are some of my families favorites, with both the reasons I like it as an occupational therapist, and as a mom. I’ve tried to list games for a variety of ages so that you can find one that works for your family. This game, and others from Family Pastimes, is a cooperative game. That means the players all work as a team to try to win the game. In this case, the goal is to rescue the princess by making up a story using items you collect along the way. The game requires both turn-taking and creative thinking to play. I love this game as an OT because little game parts to move and tiny cards to turn over mean that this game has a great fine motor component. The problem solving of thinking through how to get through each obstacle with the objects you have and cooperative aspect of working together is a great way to build social skills and verbal skills. 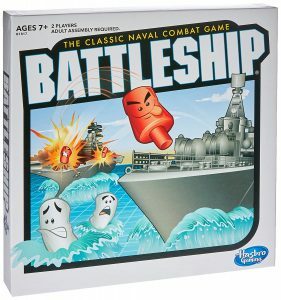 As a mom, I love this game for children who are 4-8 and don’t yet feel comfortable with winning and losing. Small children can feel like they are “losers” if they lose a game, which causes them to become upset and act out. This game allows everyone to win or lose together, which teaches children that both of those are okay. It also builds trust with the children as they work together to win. I think that playing these games together was great for my children’s relationship with each other, which was the best part of the game. The premise of this game is simple. Match shapes or colors to make rows. Build more rows across or down until you run out of tiles. As an OT, I love that the game works on visual scanning skills. Each turn you need to look for where to place your piece in relation to the other pieces. 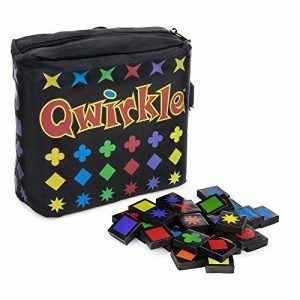 It also develops motor control by requiring you to place the tiles and has the added component of the color and shape matching. As a bonus, it requires no reading and can be played with a wide range of ages. 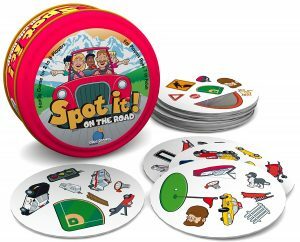 This is one of the few games that my husband and I could play with kids ranging from a kindergarten-age pre-reader to teenager and all enjoy. The game can be played with as few as 2 and as many players as you have, which is nice for our family of 5. The puzzle aspect of the game allows for adults to look for complex plays that set up the possibility of making a higher score, so it stays interesting for us too. My husband’s competitive nature means that he likes keeping score with this game. However, if you are playing with younger children, keeping score is optional. This 2 player game is a great first strategy game that requires players to get three in a row, like in tic-tac-toe, but has a few twists. Moving pieces and jumping on top of the other player’s markers makes the game much more interesting. From an OT perspective, I like the different sized pieces for fine motor control. The simple style of the game and the fact that it can be played quickly, also make it a winner. 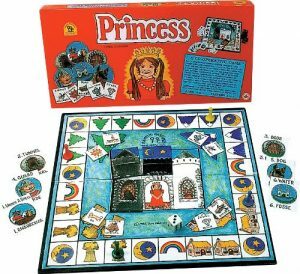 Children need to learn to both win and lose graciously, and this game takes little enough time that your child can experience both in less time than some other games take to set up. The game also requires visual scanning and problem solving as players work out where or how to move to block their opponent and be the first to get three in a row. As a Mom, I really love that this is another game that requires no reading and can be played in less than 5 minutes. The fast gameplay means that we can play it between other daily activities or before bed, without fear we won’t have time for a story. While I threw a few games early in teaching them to play, I like that this game is easy enough that all of my children have learned to use strategy to win, so I can play for real against them, which makes it more fun for me. This is a classic and a beautifully simple game to learn. Simply move your pieces around the board with the goal of collecting the most for yourself. It’s an OT’s dream for fine motor control exercises. I love the act of moving the little rocks. Children have to pick them up, manipulate them in their hands, and cross midline to put them down in each cup. Once the child understands the game, there is planning and prediction of what will help them win which helps them learn to plan other activities. At home, I like that this game is simple enough that kids can play it without really understanding the strategy needed to win, and so can I. We can play this game while talking about other things or while I keep an eye on dinner. Yes, you can take it seriously, but you can also just play it; moving along the pebbles until they are all gone. Sometimes you need a game you can play while you sip coffee and don’t quite feel ready to think for the day. This is a wonderfully simple game of stacking up elephants into a tower. 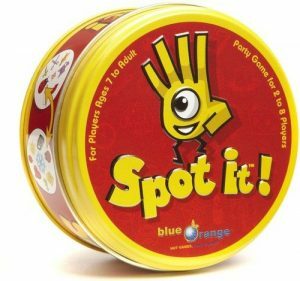 This is my favorite game for children with poor fine motor control. The blocks are much easier to grasp and stack than the pieces of more traditional games. And while there is a nice little dice to roll and use for following directions, you can also choose to just take turns adding a single item to the tower. 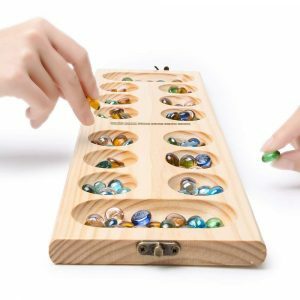 For children who struggle with complex games, this is great. This game makes an excellent first game. As a Mom, I made this game a “cooperative game” by simply saying that “we all win if we get all 10 elephants stacked up.” Then we won or lost together, which made it more fun. 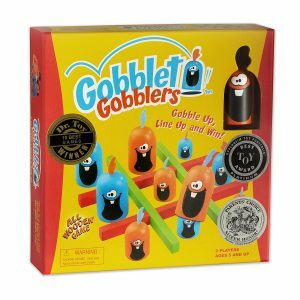 This game is adorable and engaging for younger children and can be played on the floor instead of on a table, too. 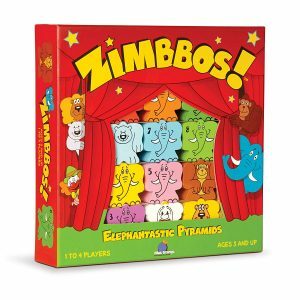 My husband and I both found Zimbbos to be much more fun and interesting than the usual games targeted at younger kids and liked how the gameplay was quick and easy. This card game has been around for a long time. It works for almost any number of players, is easy to learn, and is very portable. This might actually be the official card game of occupational therapy. It is easy to play and sets up quickly. It involves motor control to hold cards, deal, and place them. Plus there is a color and number matching aspect. 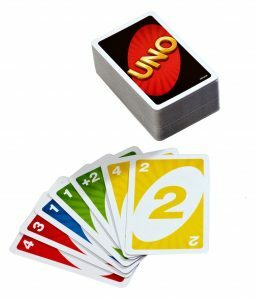 The addition of cards that require one to do specific tasks and follow directions like “Draw 4” also encourage focus and attention to detail as the child counts the right number of cards. 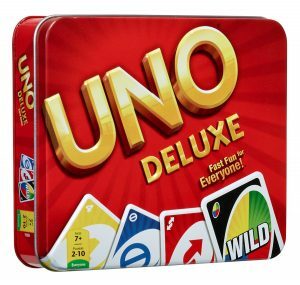 In my house, I love that this game works for any number of people, so my whole family can play together, or the kids can all play with friends. Plus, no one argues about “I don’t want to be green”, which happens with board games. This game is also great for travel. Even the grandparents remember how to play, which is also a win. This simple card game is all about looking for matches on your cards in the small pictures they each have. As an OT, I love the visual scanning aspect of this game. Many children need to learn to look for details and look carefully when reading both stories and instructions. By practicing looking closely at the pictures, children prepare their eyes to look closely at words and not to skip over any. This game is another one that plays quickly and is easy to pull out for a short break and then put away again. It comes in many themes so you can get one that interests your child. I like the little tin it comes in, which makes keeping up with a card game easier. The number of players is flexible, which is always nice. This classic 2 player game has been around a long time. There are many fancy versions but I prefer the classic kind. This game is for older children, or younger children with an adult helper because even though it does not require reading, the game has some complex aspects. It’s a win from an OT perspective because of those tiny pegs and ships for fine motor control. I also love the grid shape that requires kids to learn how to tell where the “hit” happened. Learning to chart both where they have had hits and misses in the game, along with their opponent, works on higher level visual perceptual skills. Predicting where they might be able to target to hit another ship builds excellent problem-solving skills. The inexpensive travel version of this game has been great for my kids to play together while I work on something else, like the dishes. 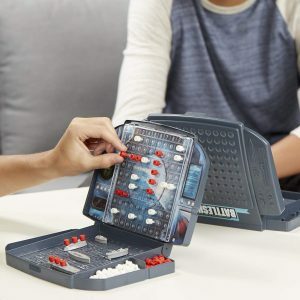 The clear rules of the game and ability to sit the kids on opposite sides of the table where they can’t touch each other’s game pieces means that kids who normally fight over games can play this with just a little supervision. There are tons of other great games out there, but these are ones my family has really gotten our money’s worth out of. And I know they have also helped my children with their development. I hope you found a game on this list that you can add to your family’s wish list. Did you see any games you like or hate? Let me know! I’d love to hear your thoughts. P.S. Here are the links to the games I’ve recommended today. 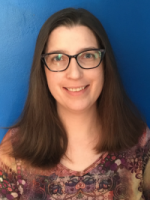 Want to learn more about my favorite OT-related toys and games? I’m a huge fan of using toys and games as a way of helping kids reach their OT goals. That’s why each week, for the next few weeks, I’ll be featuring my favorite toys and games with Occupational Therapy benefits here on my blog. Make sure that you are signed up for our mailing list so you don’t miss out on any of my posts.